The remarkable story behind the song, and the CEF connection. Look in any hymnal and if the song “God is so Good” is there, it probably says in the author line that the song is an “African Melody.” The song was born in a very unique place. In 1961, a young Burundian diplomat knew that God was calling him to work with children. He had been working in the government for several years and had a very good life. His wife and three children lived comfortably in Bujumbura, the capital city. After a serious accident that left Stephen Rutuna on his back in a hospital, unsure if he’d ever walk again, he finally submitted to God’s call. Shortly after making his commitment to the Lord, the king of Burundi told Stephen that he wanted him to serve as the Prime Minister. Stephen told the king that he would serve for one year to give the king time to find a replacement, but that God had called him to work with children, and he had to obey God. The king agreed to this arrangement. After serving a year, Stephen reminded the king of their agreement. The king told Stephen that he had two choices: Work for him or work for no one and be put to death. Stephen told the king that he had to obey God. As a result, Stephen was imprisoned. Stephen was in a cell with others who were to be executed for various “crimes.” The day finally arrived for the execution and one by one the men were removed from their cells and executed. By the time it was Stephen’s turn, evening had set and the king decided to wait until the next morning to kill Stephen. That evening, all alone in his cell, Stephen began to reflect upon his life. He knew that God could rescue him, just like Peter, or He could allow the execution to take place. Stephen believed that God would somehow use either circumstance to bring glory to Himself. 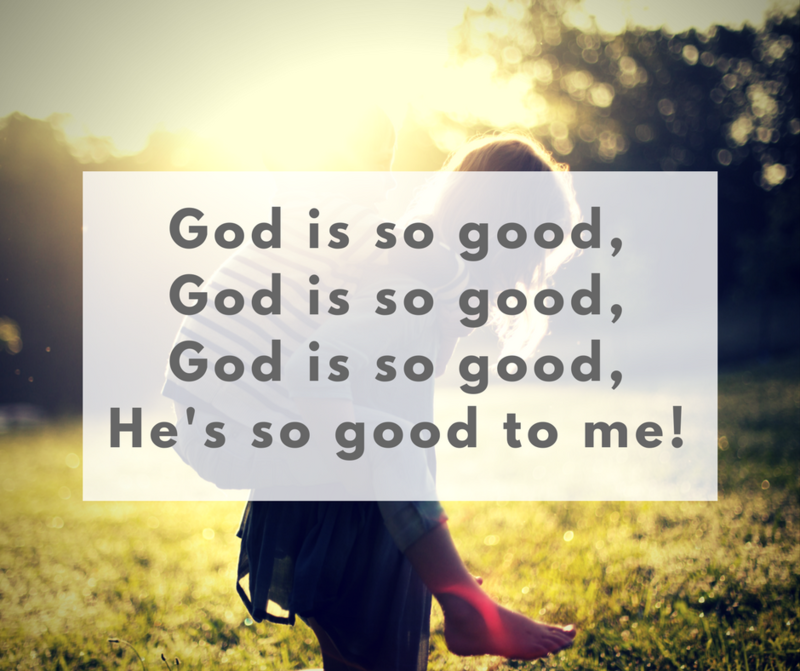 As he reflected on these things, he could only say, “God is so good, God is so good, God is so good, He’s so good to me.” God placed this simple song into Stephen’s heart, and he sang it over and over that evening. The next morning, the soldiers came to take Stephen to the place of execution. He was to be cut into pieces until dead. However, just as they got to the place where the execution would take place, a violent storm erupted, and lighting struck the ground very near where Stephen stood, knocking him unconscious. When he awoke, he felt to see if his head was attached or not … so he’d know whether he was in heaven or on earth! When the soldiers came to their senses, they refused to kill Stephen. They told the king, “We cannot kill this man! His God has done this and He is more powerful. We are afraid to touch him!” The king agreed and set Stephen free. The king warned that if anyone helped Stephen, they would be put to death. Stephen returned to his home to check on his family. When he arrived, he found his home had been burned to the ground. He sought out the CEF missionaries and found his family hiding in their home. When the soldiers came to torch the missionaries’ house and kill everyone, including Stephen’s family, Stephen’s youngest son, Wisdom, defiantly looked at the soldiers and exclaimed, “You can kill us, but God will remember.” The soldiers were afraid and let the family go before torching the house. For several months, the Rutuna family hid with the CEF missionaries until they were all able to escape to Uganda. They settled in Uganda and began the CEF work there. Later, under the reign of Idi Amin, the Rutuna’s again had to flee for their lives. Wisdom’s need for surgery allowed the family to escape into Kenya where Stephen served with CEF, first as the National Director and later as the Regional Director for East and Central Africa. Stephen served in this capacity until his retirement. Today, Stephen has been enjoying his citizenship in heaven with the God that he realized long ago was good … no matter the circumstance.